Rogue’s Gallery Week continues here at FIRESTORM FAN! 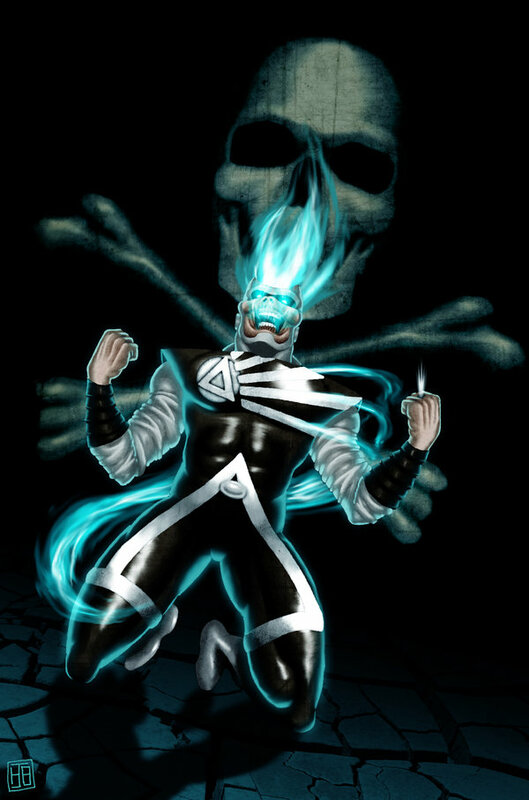 Today we’re looking at some fan-created art of Deathstorm/Black Lantern Firestorm! Each of these pieces has their origin in some other Firestorm-related art. 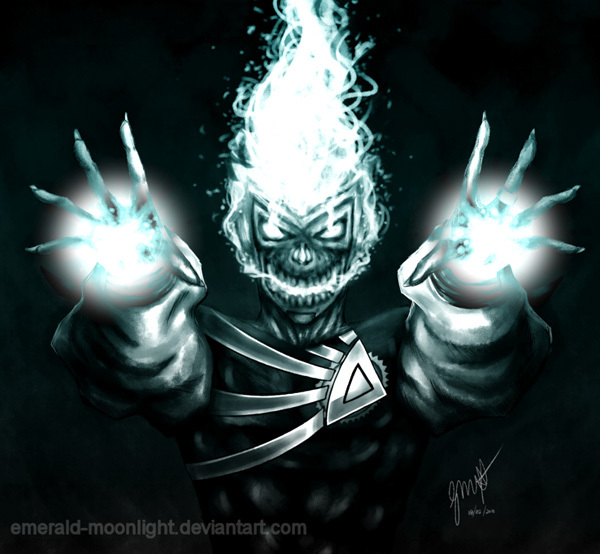 Below you’ll find Black Lantern Firestorm by Hector Barrientos (hollywood690 on deviantART). 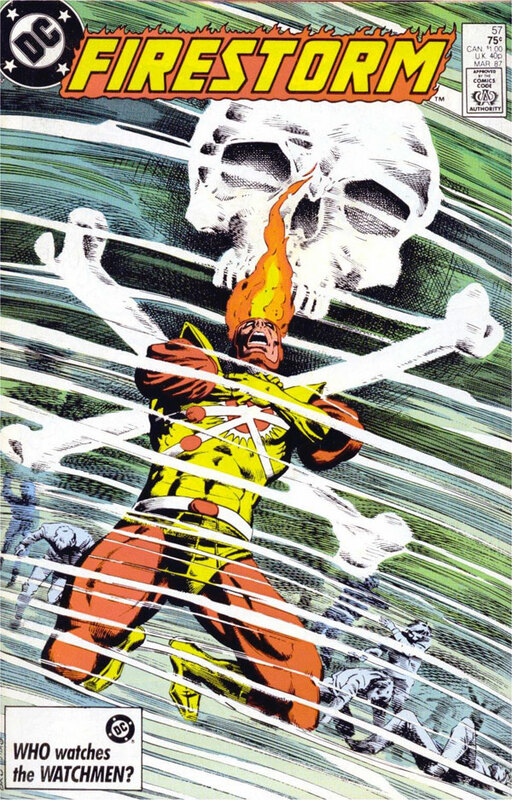 This art was inspired by the cover of The Fury of Firestorm #57 by Joe Brozowski (see further below). To visit Hector Barrientos’ deviantART page, click here. 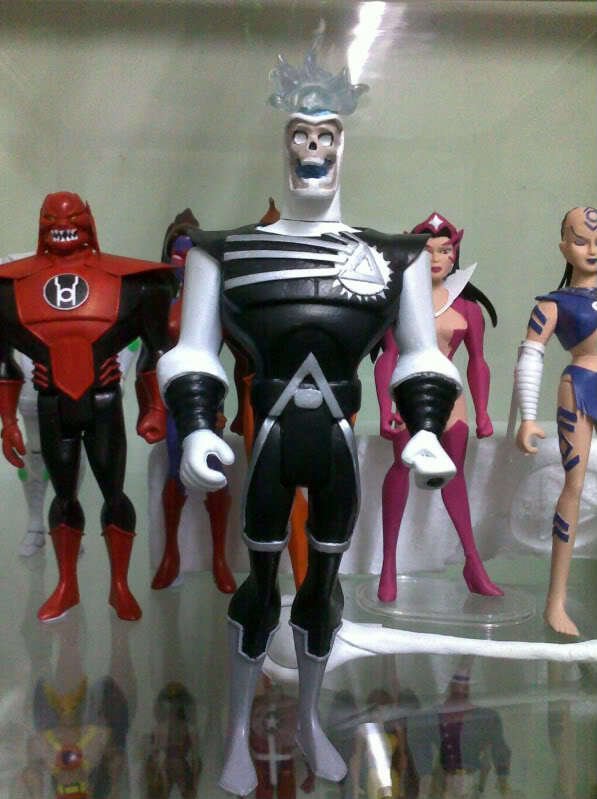 Next up is a custom Black Lantern Firestorm action figure. 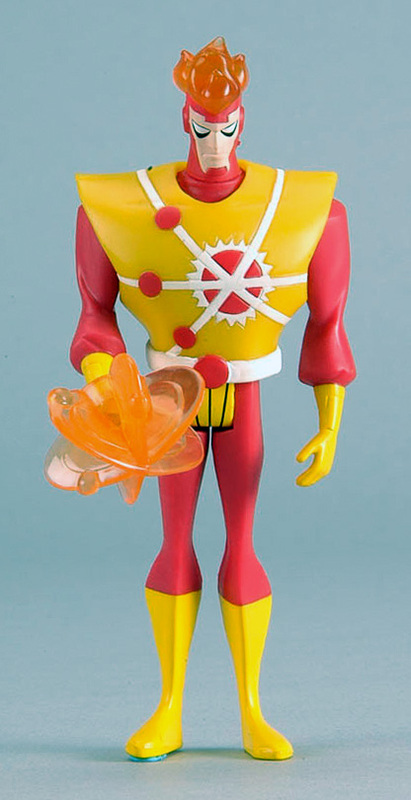 This toy is based upon the Justice League Unlimited Firestorm figure (see further below). This custom figure was created by Jeffrey and was featured on Custom Justice. Finally, I recently stumbled across this Deathstorm fan art by Gabrielle V. (emerald-moonlight) on deviantART. 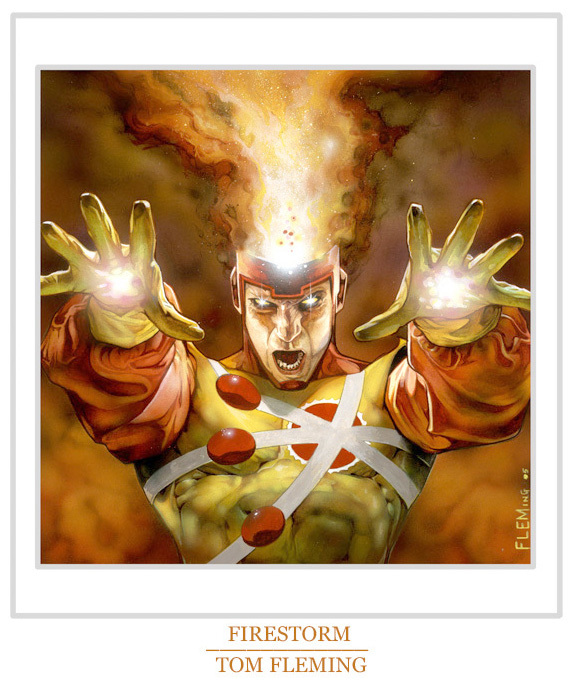 What caught my attention is that it’s inspired by the amazing painting of Firestorm by Tom Fleming (see further below). What a great idea for a Deathstorm pose! For further coverage of Tom Fleming’s painting here on FIRESTORM FAN, click here. To visit Tom’s website, click here. To visit Gabrielle V’s deviantART page, click here. Posted in: Deathstorm/Black Lantern Firestorm, Rogues Gallery, Sketch/Art. Hmm…why is that first pic reversed? Weird! its because for a while dc couldn’t decided on which way to have symbol go…some covers show it going right others left…and there editors still get paid..i want that job! Sweet! I am rather surprised by the sudden popularity of Deathstorm or BL Firestorm. I see him everywhere lately.